There are 3 different types of sleep apnea. 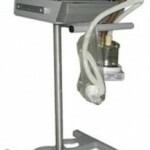 Obstructive Sleep Apnea (OSA) – the most common type of sleep apnea. 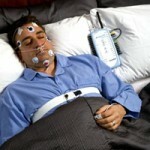 84% of all people suffering from sleep apnea have Obstructive Sleep Apnea (OSA). OSA is caused by a physical block in the airway, which can cause apneic episodes. Snoring is one symptom of obstructive sleep apnea. Central Sleep Apnea (CSA) – this type of sleep apnea is very rare, and in fact, only 0.4% of all people with sleep apnea is suffering from Central Sleep Apnea (CSA). CSA is caused by an interrupted breathing pattern during sleep, due to a lack of respiratory effort. Complex or Mixed Sleep Apnea – this type of sleep apnea is a combination of both obstructive sleep apnea (OSA) and central sleep apnea (CSA). 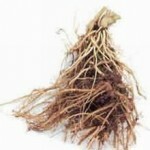 San’o-Shashin-To is a type of Chinese herb that is believed to have benefits in addressing sleep apnea problems. However, San’o-Shashin-To is only found to be effective in treating mild cases of sleep apnea, specifically obstructive sleep apnea. In fact, it has been proven in a research conducted and published in the journal for “Psychiatry and Clinical Neurosciences” on 1999 that San’o-Shashin-To can help in decreasing apnea episodes during sleep by alleviating upper airway resistance while sleeping. Where can San’o-shashin-to be purchased? I’ve looked everywhere.